Insider Trading: Are there any unknown markets the NHL could expand to? TSN Hockey Insiders Bob McKenzie, Darren Dreger and Pierre LeBrun joined host James Duthie to discuss what the future of the WJC in Canada looks like, why the Red Wings are protecting Filip Zadina, unknown markets that the NHL could potentially expand to and more. What does the future of the WJC in Canada look like? McKenzie: If you include this year's World Juniors in Vancouver and Victoria as well as Edmonton and Red Deer in 2021, Canada is going to play host to the World Juniors six times over the next 13 years. What everybody wants to know is, 'where's it going to be in '24 through '31'? The short answer is that we don't know yet, but we may find out sooner rather than later on 2024. 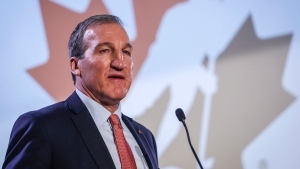 The expectation is that the '24 bid could be awarded before the 2021 World Juniors. So in two years, we could find out who's going to host in 2024. You’ll notice with Vancouver and Victoria and also with Edmonton and Red Deer, that you have one NHL city and one CHL city. This is not by accident. This is the blueprint that Hockey Canada is looking at, and I would not be surprised if in '24 through '31 that Hockey Canada continues to look at this idea. 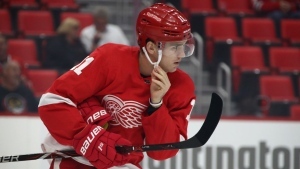 Why are the Red Wings protecting Filip Zadina? Dreger: Part of the reason that they're managing Filip Zadina's ice time and his developmental time so carefully is that with the expansion process, players with two years of experience or less don't have to be protected in the upcoming Seattle expansion draft. Zadina could come back after the World Juniors and playing up to nine games with the Detroit Red Wings without having to be protected, provided that he plays a full year next year and then the year after that heading into the expansion draft. Good thinking by the Red Wings. 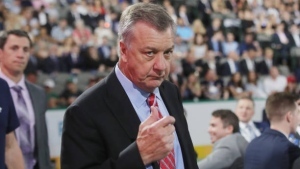 Knights are exempt from expansion draft, but could they be active? LeBrun: The Vegas Golden Knights are exempt from the upcoming Seattle expansion draft, but they could sort of double dip and get in on the action that Seattle will have as a team going through this expansion draft. Some of the side trades that could be available to Seattle could also be available to Vegas. Since the Golden Knights are exempt, they could go to teams and say 'we could make your life sweeter if you're willing to do x or x'. 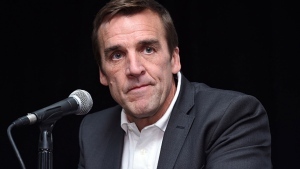 Believe me, George McPhee, Vegas' general manager, frustrated a lot of teams last time around and he could get involved again. Are there any unknown markets that the NHL could expand to? McKenzie: There's nothing on the immediate horizon for expansion. Obviously, the NHL is just doing Seattle now, so expansion can cool for a while. But, a lot of conventional wisdom has always been that Houston would be the next big spot. It's a great market and perfect for the footprint, but the sense seems to be that the government agency that controls the arena in Houston is not at all interested in the NHL, and therefore, Houston won't be on the NHL's radar anytime soon. But Austin, Texas, is an interesting market. 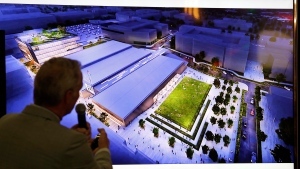 Right now it's an AHL city with an 8,000-seat stadium, so they would obviously need to build another rink. There isn't an ownership group that has stepped forward and said that they want in on Austin, but it is an intriguing market for the NHL that could one day down the road be on the radar because it's a faster growing market and it is a unique niche. 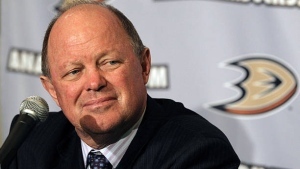 Dreger: Anaheim has been scouting teams like the Montreal Canadiens and Carolina Hurricanes. I wouldn't say that there's a connection there yet, but Anaheim is pretty specific with what they need. Worst-case scenario, they're looking for a third-pairing guy with a left shot. LeBrun: Whether there's a fit with Anaheim or not, the Hurricanes - which really wanted William Nylander but never really got that shot - want a top-6 forward ASAP and they've got the surplus on defence to make it happen.